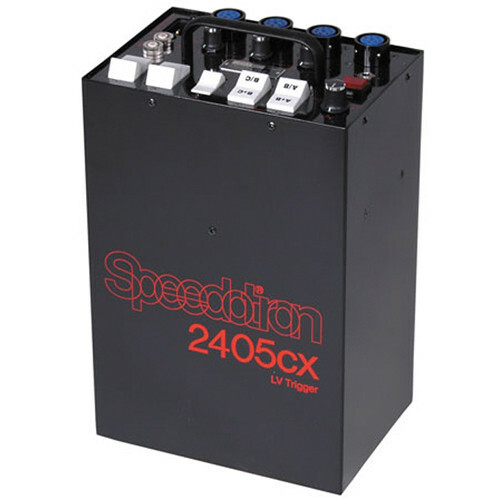 Nothing fancy here---the Speedotron 2405CX LV Power Supply (220V) is a rugged, dependable power pack that produces a true 2400Ws. It has 4 quick-release flash head outlets, audible and visible flash indicators, dial-down power, 225 different possible output variations, and a fast recycle time of 2 seconds. This is a workhorse that's built to last. Box Dimensions (LxWxH) 19.9 x 12.1 x 9.8"